From 11th to 15th of December, the weather will remain cold and a bit foggy in the morning. Wind wave is expected to weaken in the lower Gulf of Thailand from Surat Thani, resulting in waves’ height from 1.0-2.0 meters. 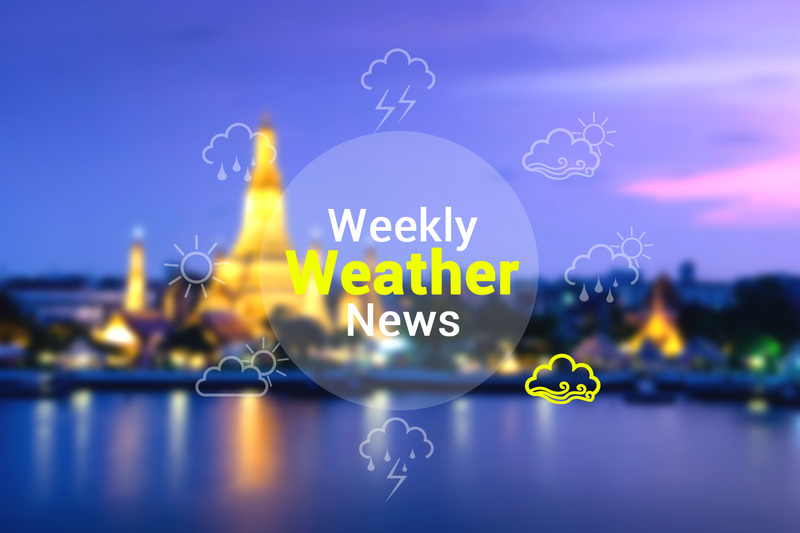 After the 15th of December, the temperature is expected to drop down to 3-5 degrees accompanied by winds from the south to Nakhon Si Thammarat. Isolated heavy rain is foreseen during this period. Wind wave in the Gulf and the Andaman Sea will be strong. With wave height reaching 2.0-3.0 meters.